Formulated with a complex of nourishing ingredients that hydrates and nourishes the colored hair, it gently repairs protective layer of the damaged and thinned hair after chemical, thermal and environmental damage. The conditioner detangles and reduces hair breakage, leaving it naturally radiant. The complex of herbal extracts work for a longer lasting color as well as enhance a healthy shine. Active ingredients: rose hips oil, aloe vera extract, extracts of burdock and сhamomile. 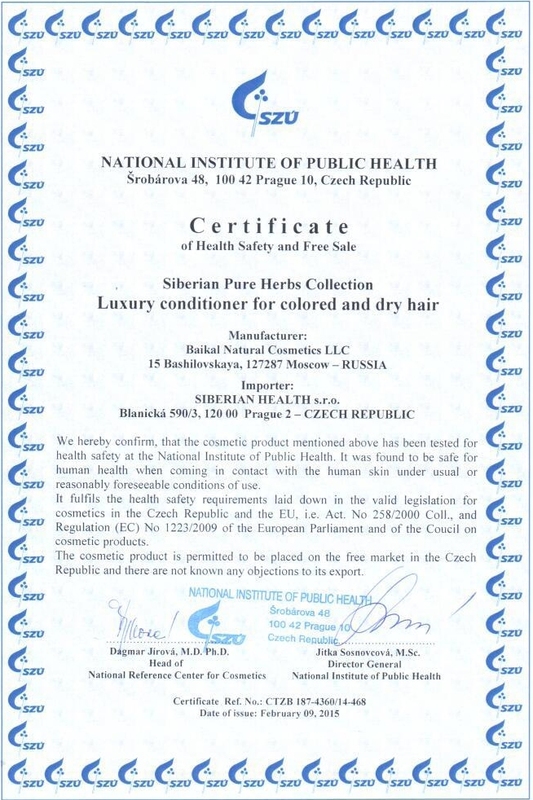 Ingredients (INCI): aqua (water), сetearyl alcohol, brassicamidopropyl dimethylamine, hydrogenated polyisobutene, l-lactic acid, laurdimonium hydroxypropyl hydrolyzed wheat protein, d-panthenol, stearamidopropyl dimethylamine, butyrospermum parkii (shea) butter, diheptyl succinate, capryloyl glycerin/sebacic acid copolymer, sodium hydroxymethylglycinate, saccharide isomerate, hydroxyethylcellulose, trisodium ethylenediamine disuccinate, sodium benzoate, guar hydroxypropyltrimonium chloride, rosa canina (dog rose) hip oil, aloe barbadensis (aloe vera) leaf juice extract, citrus aurantium dulcis (orange) peel oil, thuja occidentalis (thuja) leaf oil, arctium lappa (burdock) root extract, matricaria chamomilla (camomile) extract, tilia cordata (linden) flower extract.